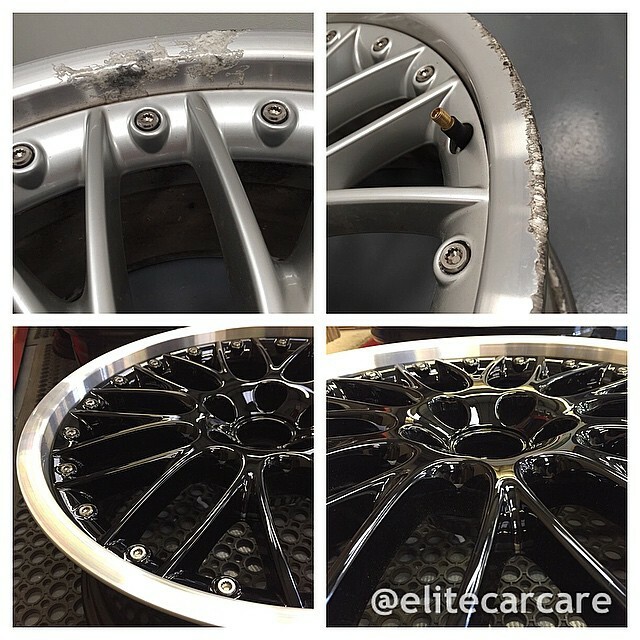 At Elite Car Care we feel that your wheels will make or break the look of the car, in most cases the wheels are one of the first parts of the car people will notice, hence whey we believe they need to look their best. They add value to a car for potential resale. 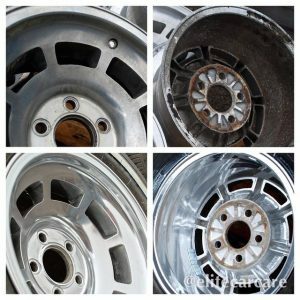 Our wheel refurbishment service is a complete process, the wheels are completely re-worked to look like new or in many cases better than new. We can refurbish your wheels back to original manufacturers specifications, or we can give them a new look with your choice of colour and shade, the options are infinate. We are also specialists are matching factory wheels which reduces potential spend to the customer as in many cases it’s not necessary to have all four refurbished. 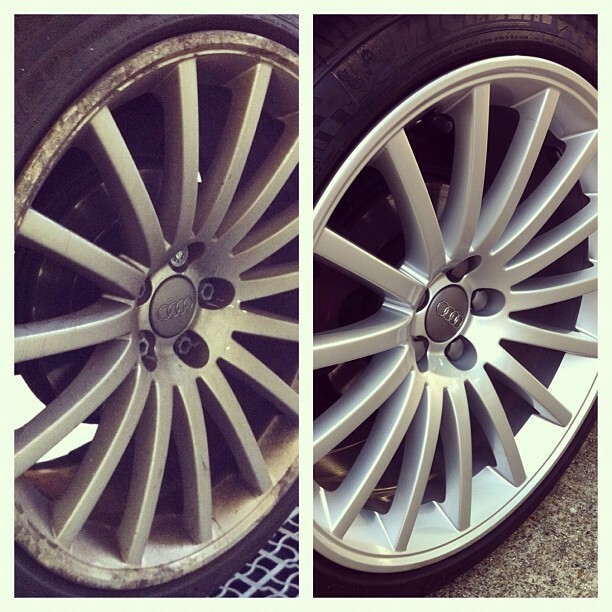 Why Choose Elite Car Care to refurbish your wheels? Standard painted and lacquered wheels start from £70 plus VAT per wheel (price includes tyre removal & refitting). Alloy Wheels from an Audi TT V6, serious corrosion damage dealth with. Restored to brand new condition. Aged and corroded Corvette C3 alloy wheels prepared and ceramic polished to give a high quality finish. The owner was shocked at how good they now look.